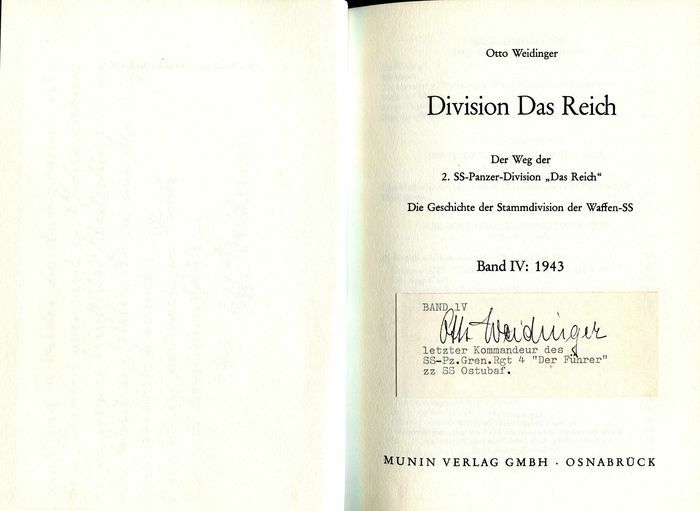 Otto Weidinger – Division das Reich. 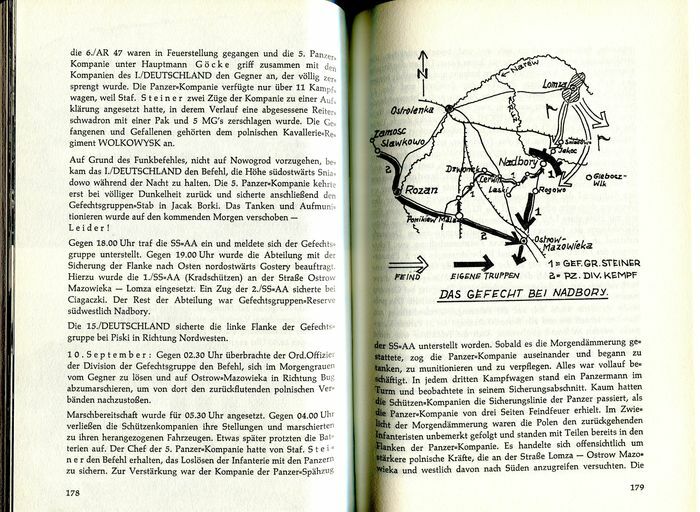 Der Weg der 2. 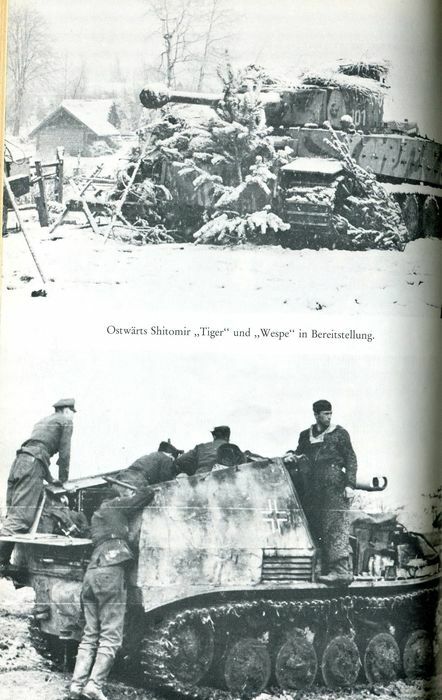 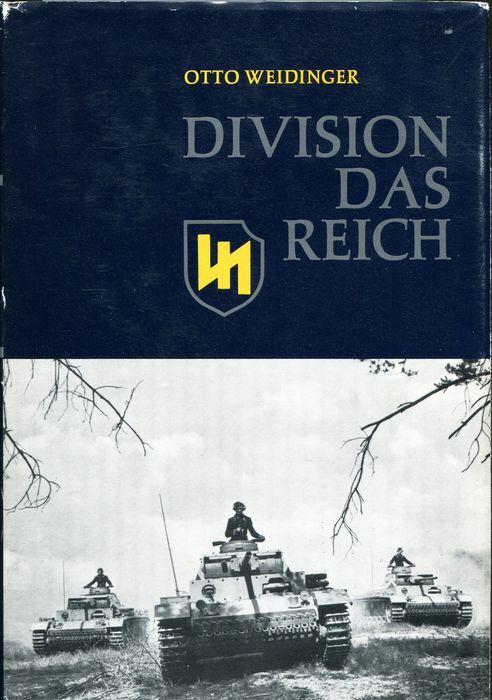 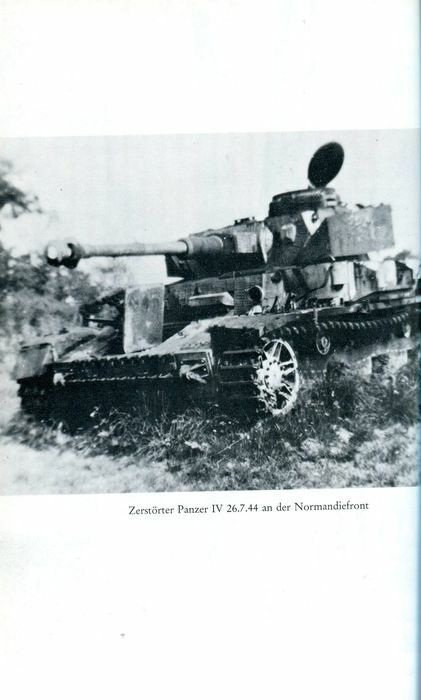 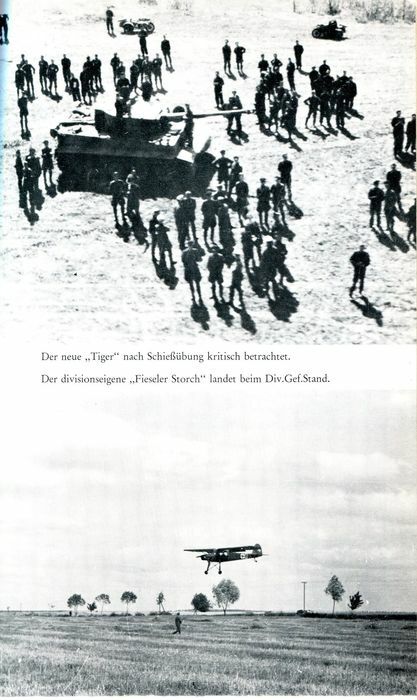 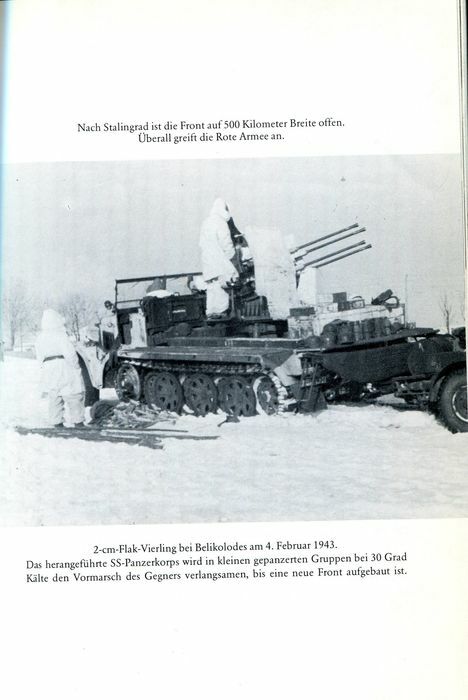 SS Panzer Division “Das Reich”. 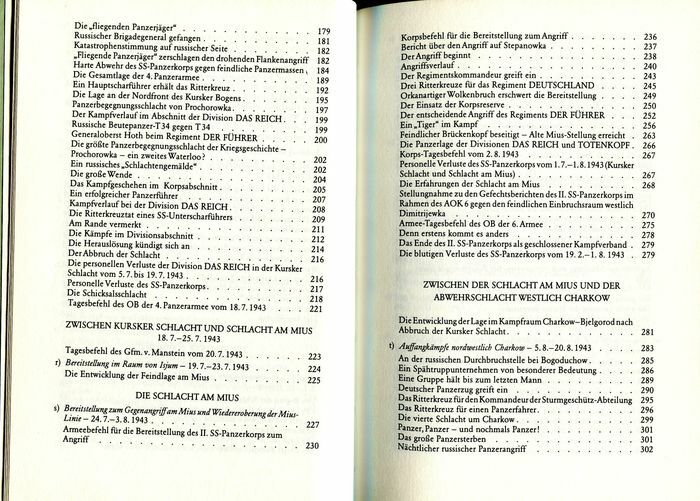 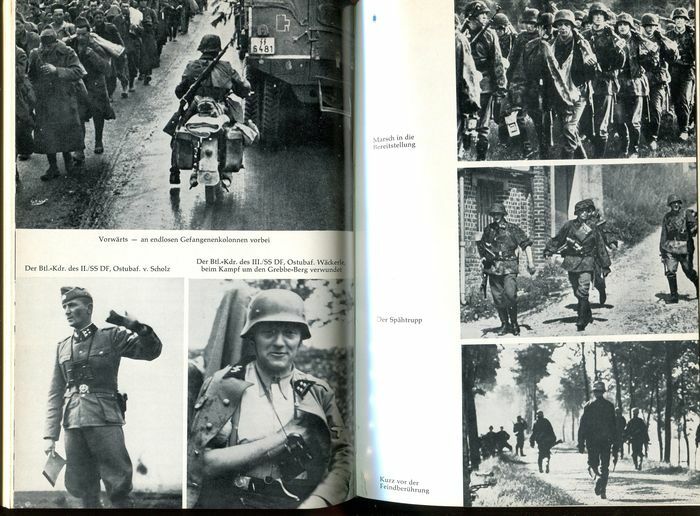 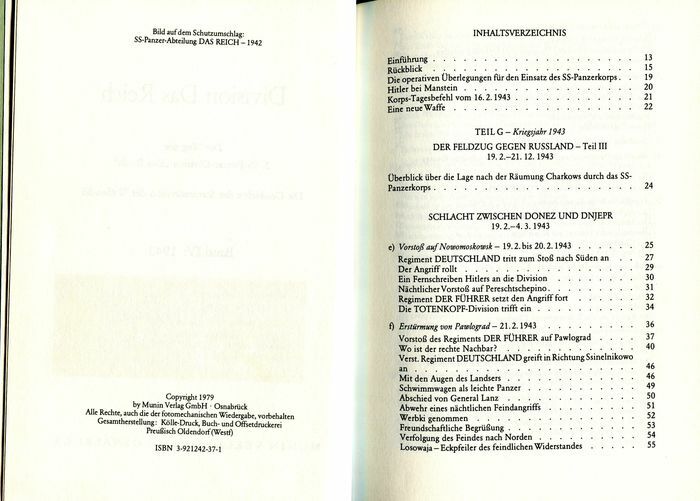 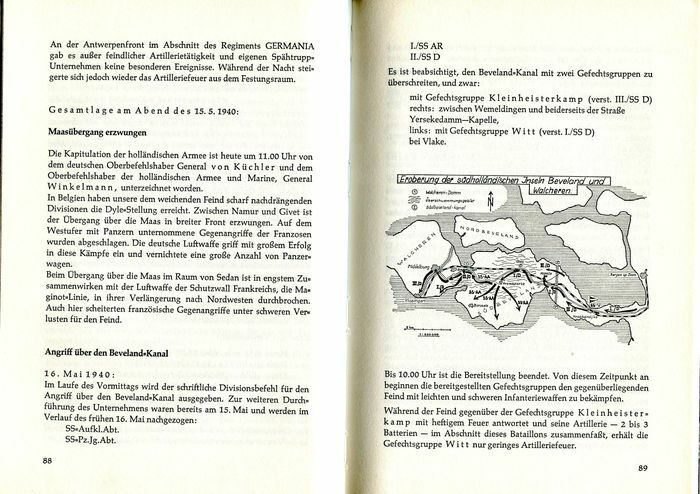 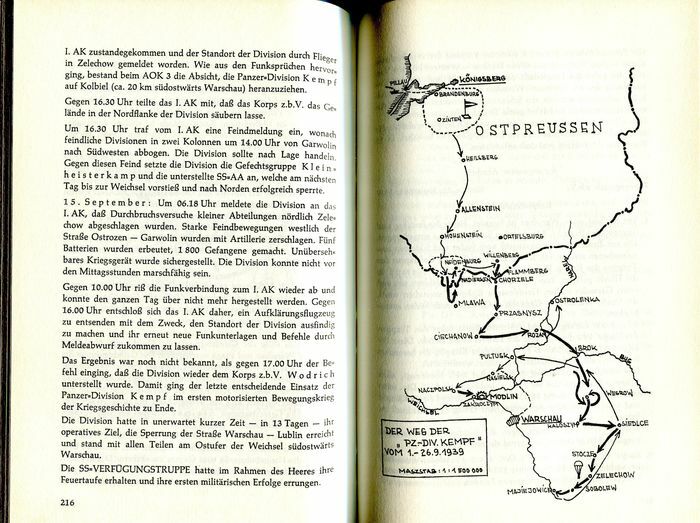 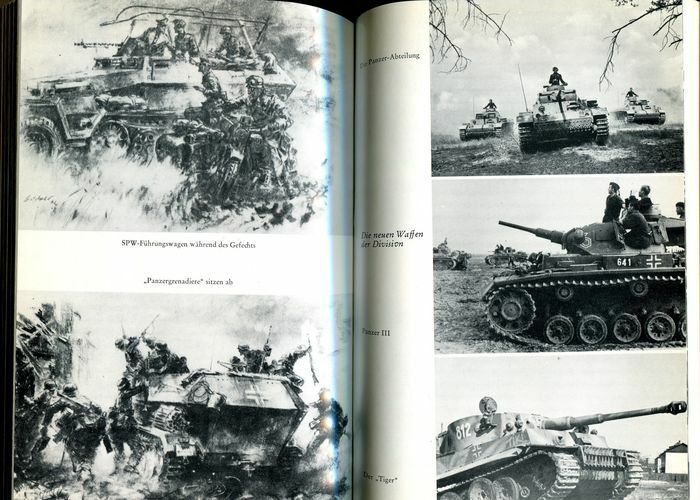 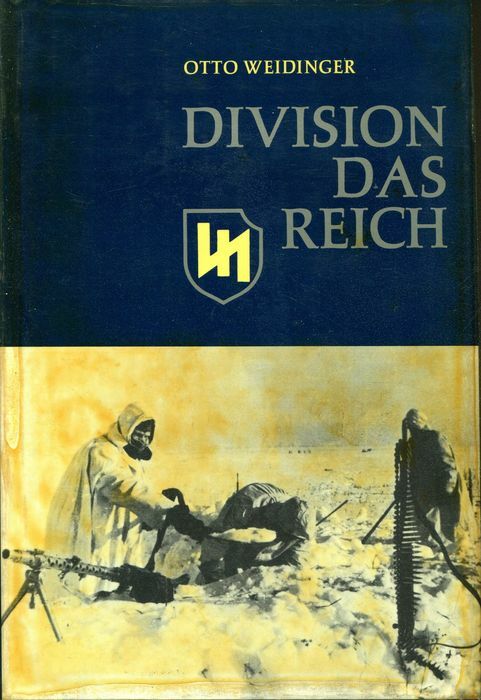 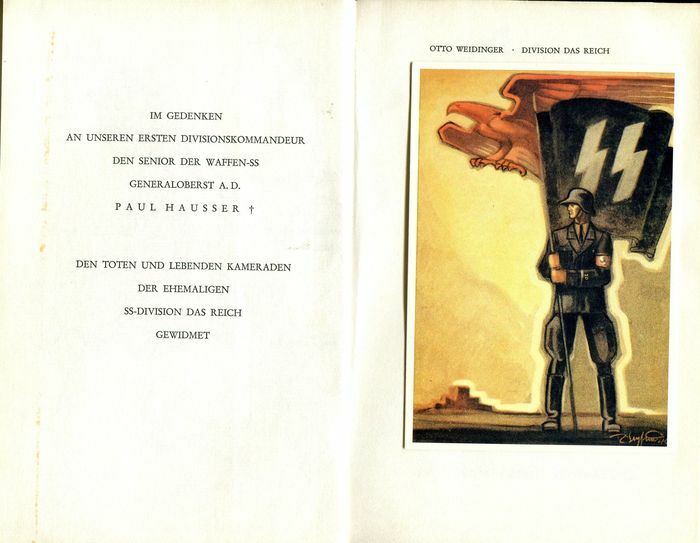 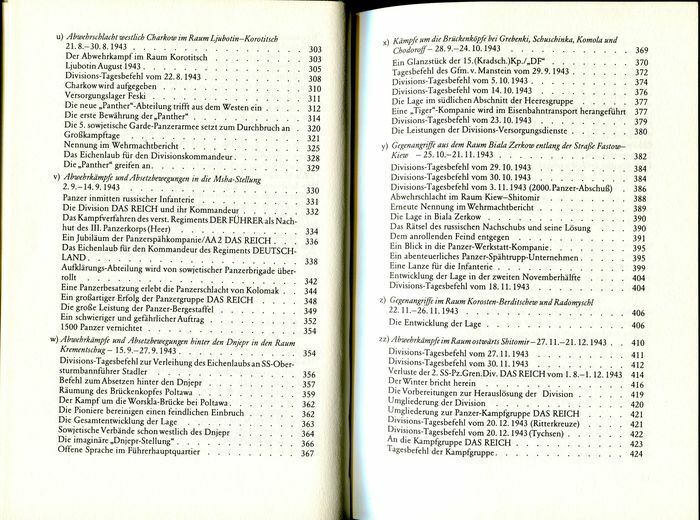 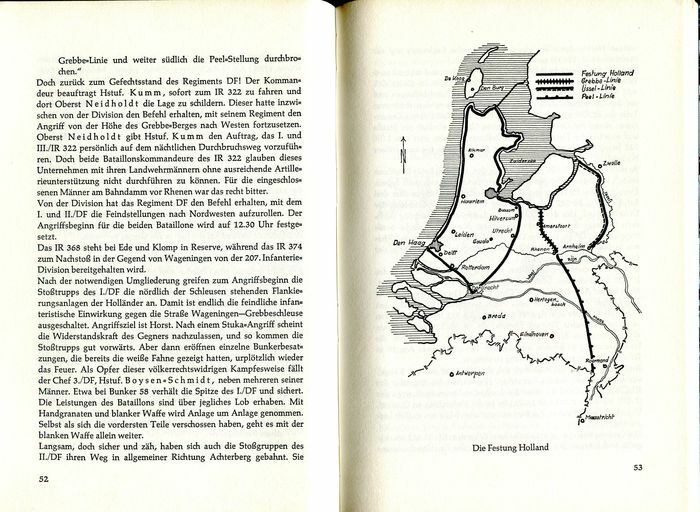 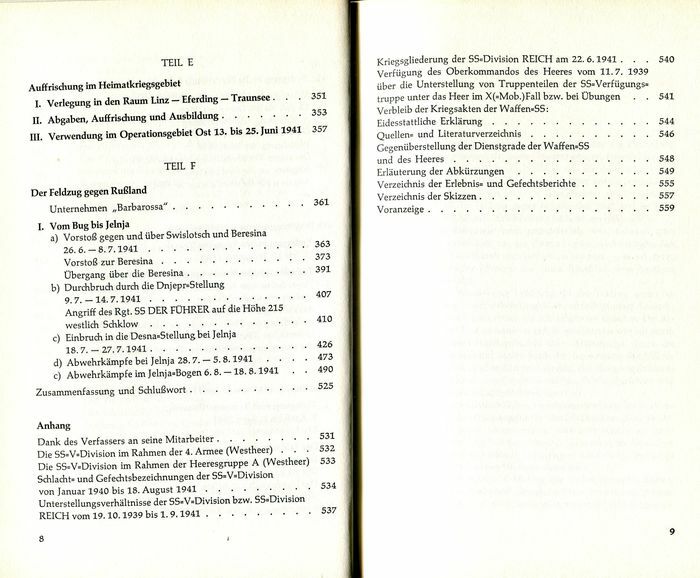 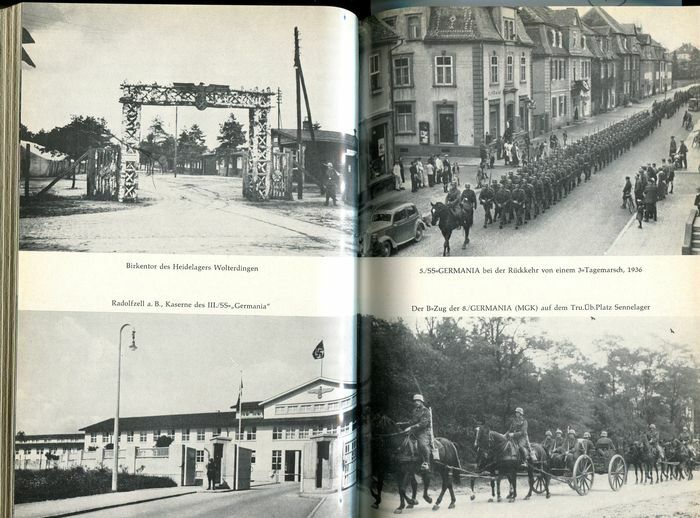 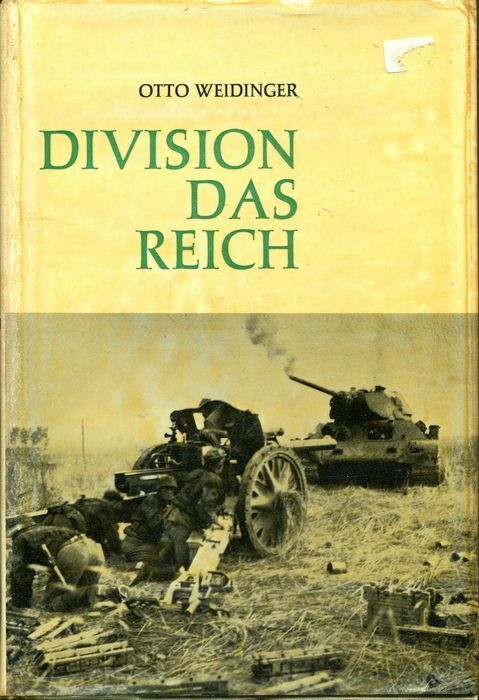 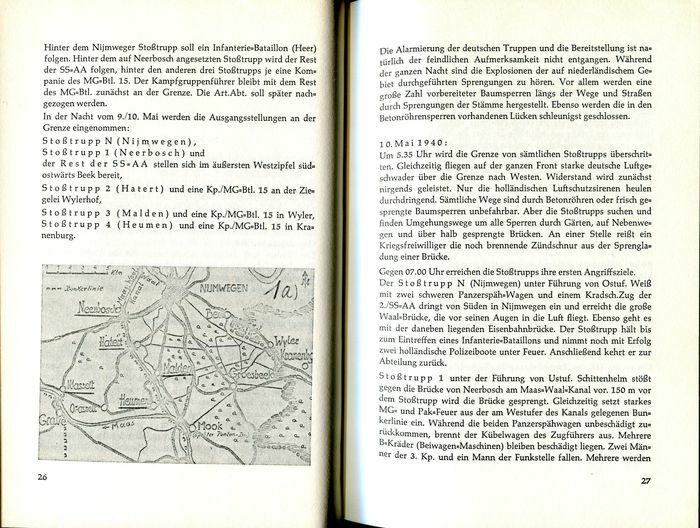 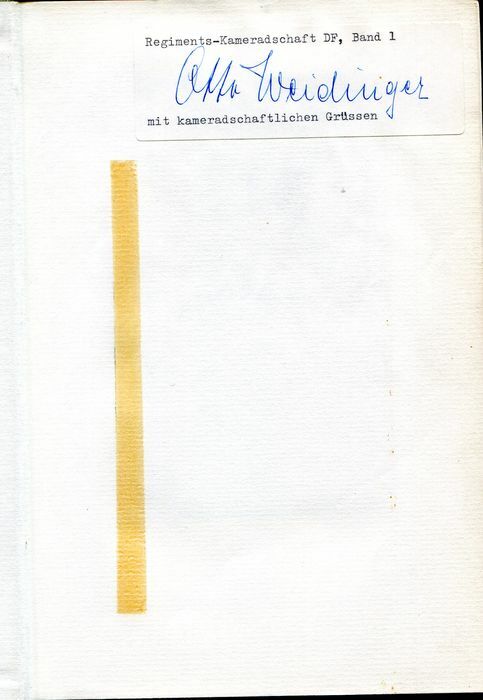 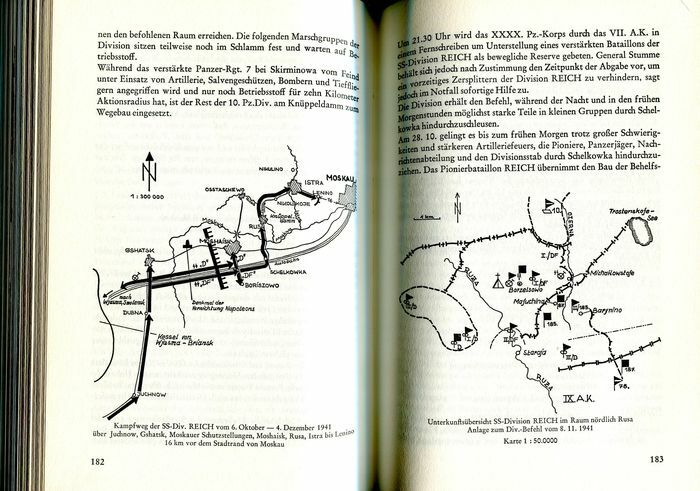 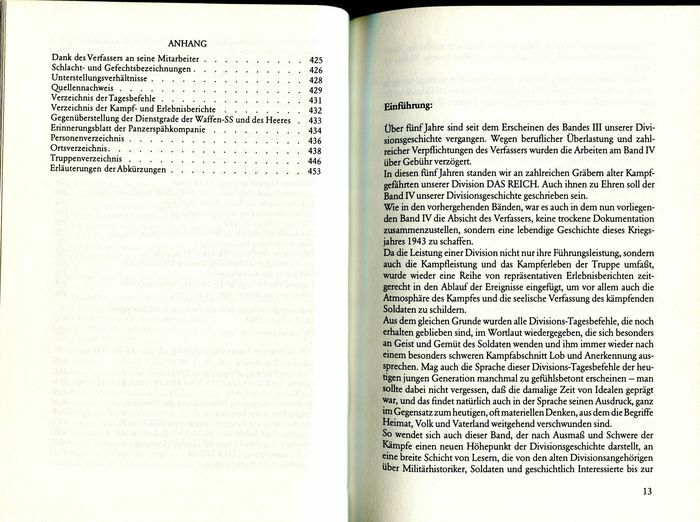 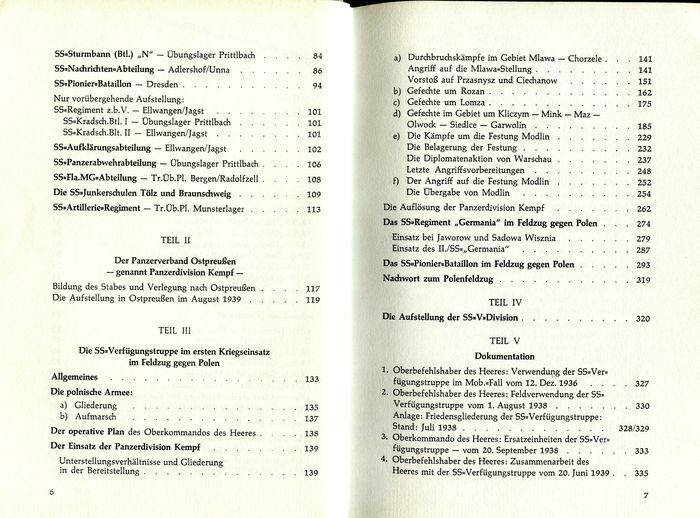 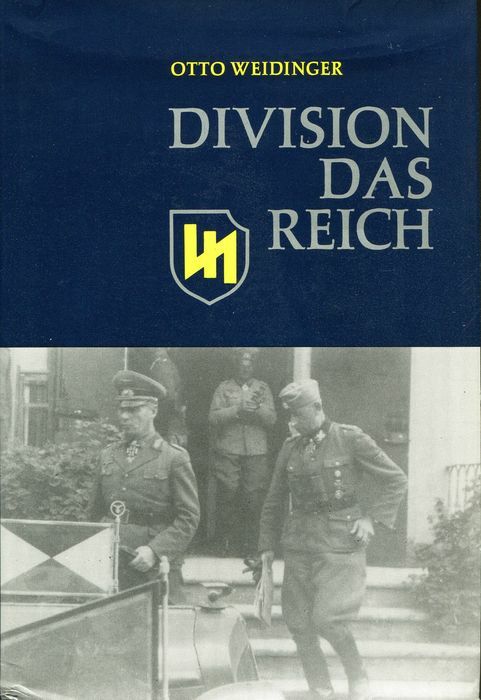 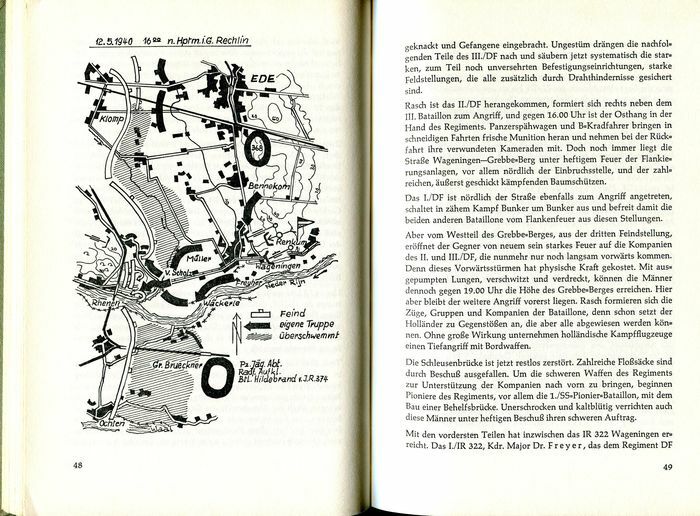 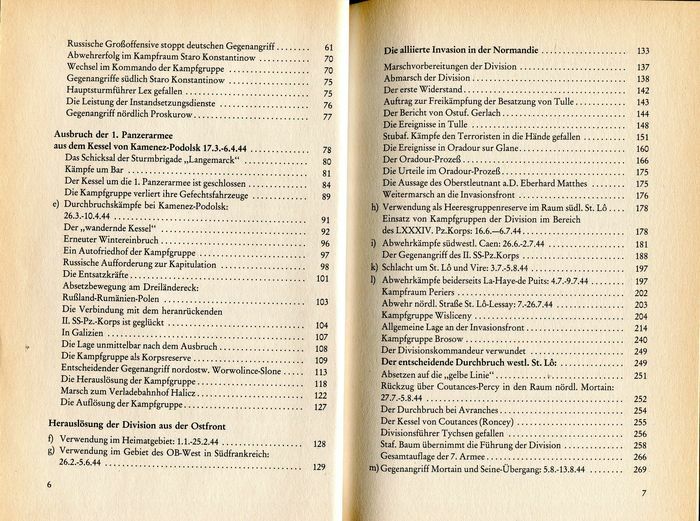 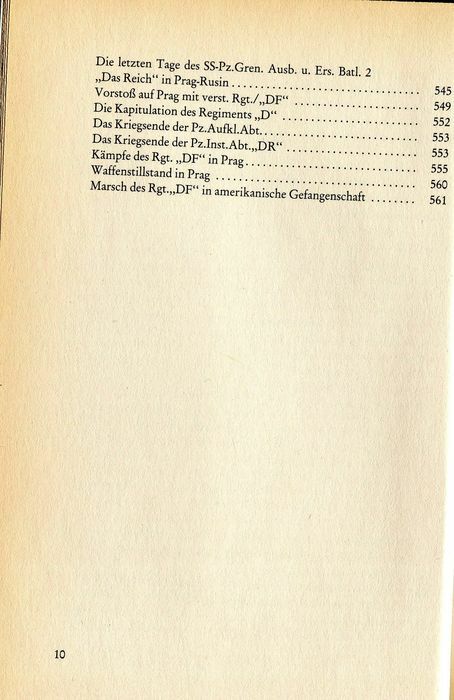 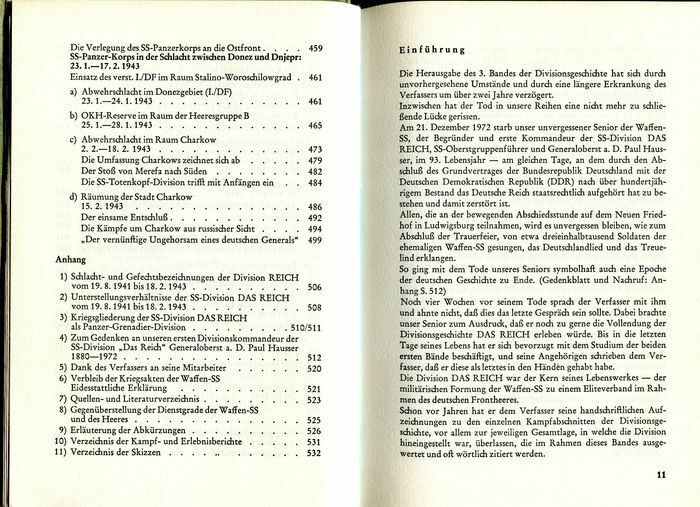 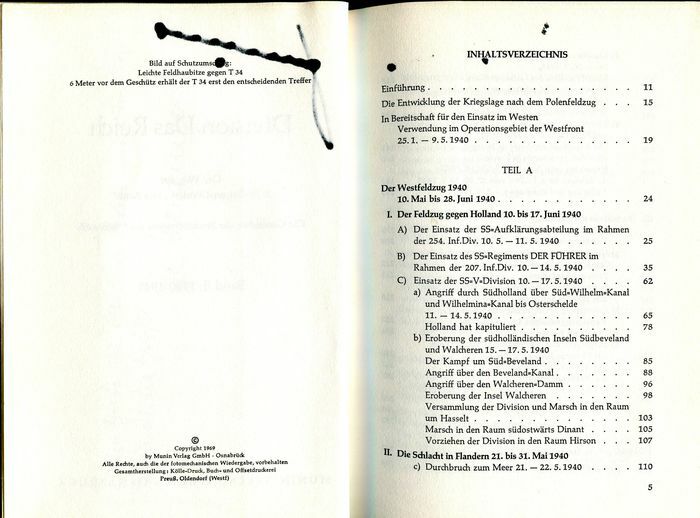 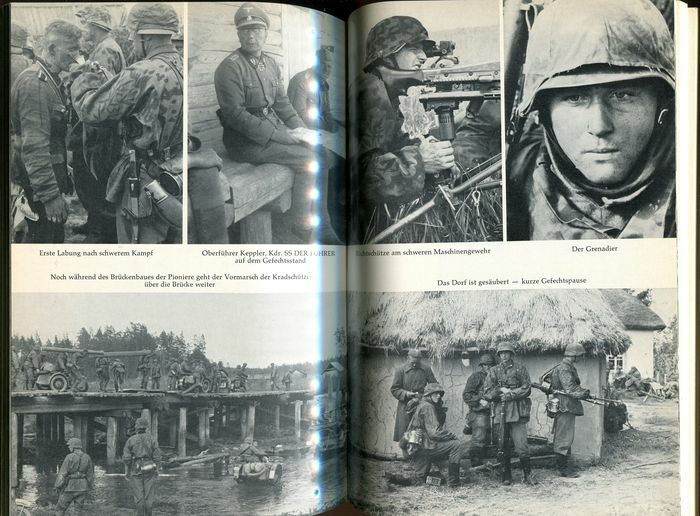 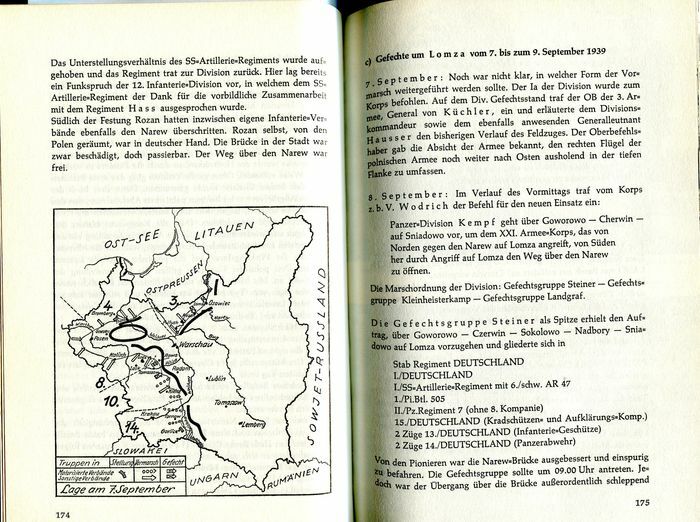 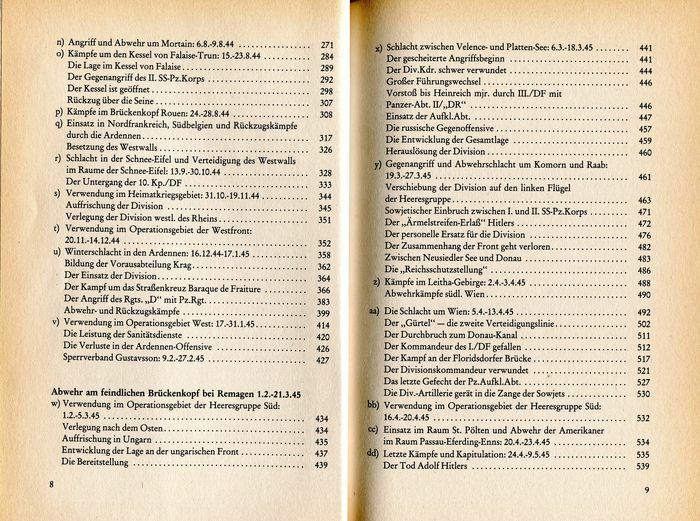 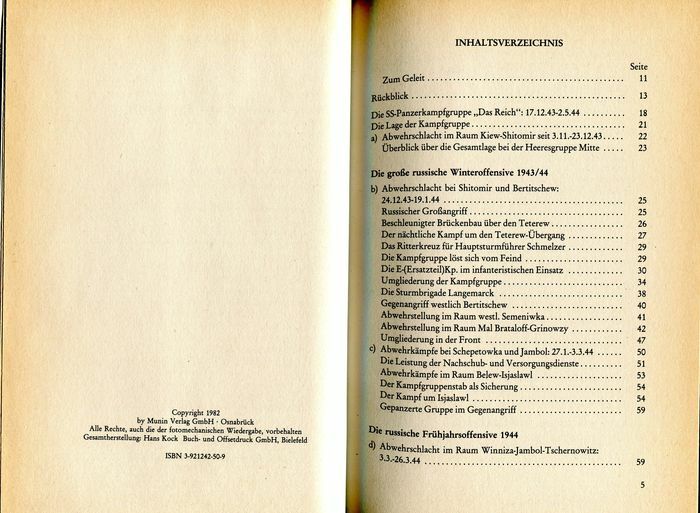 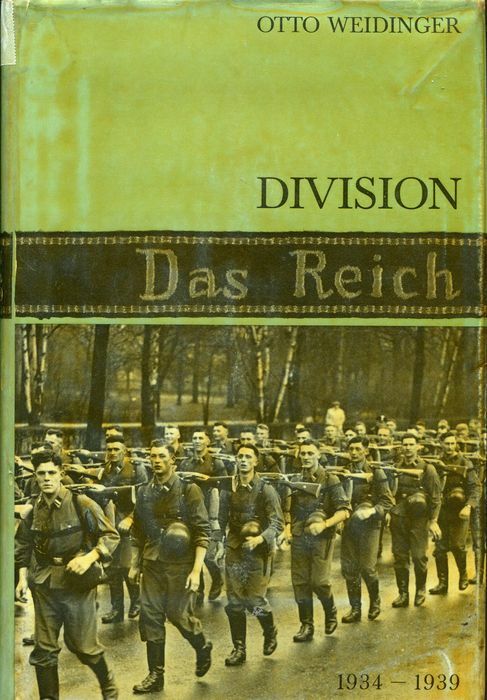 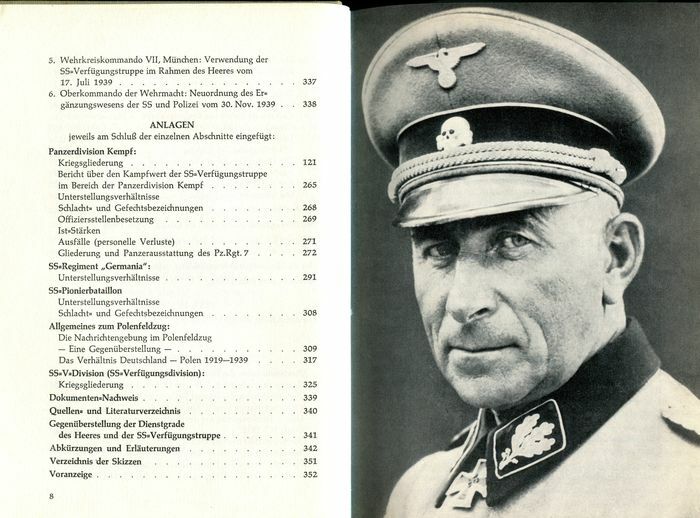 Die Geschichte der Stammdivision der Waffen-SS – Munin Verlag GmbH, Osnabrück, 1967-1982 - 5 delen - linen bindings with fabric cover - 15 x 22 cm. 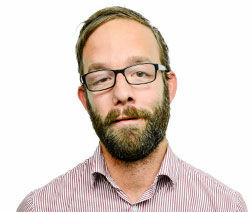 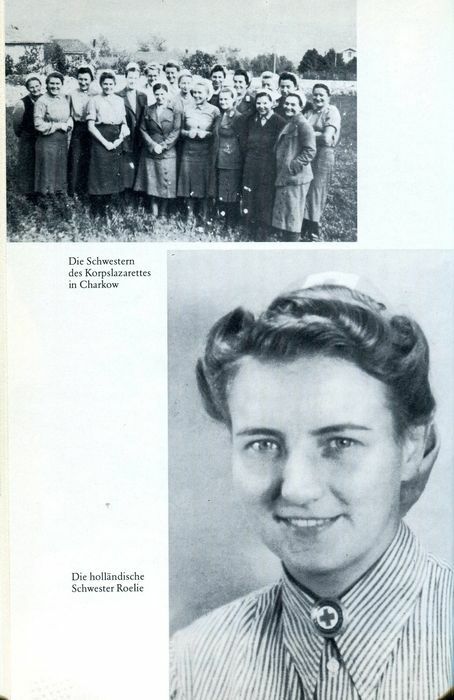 German. 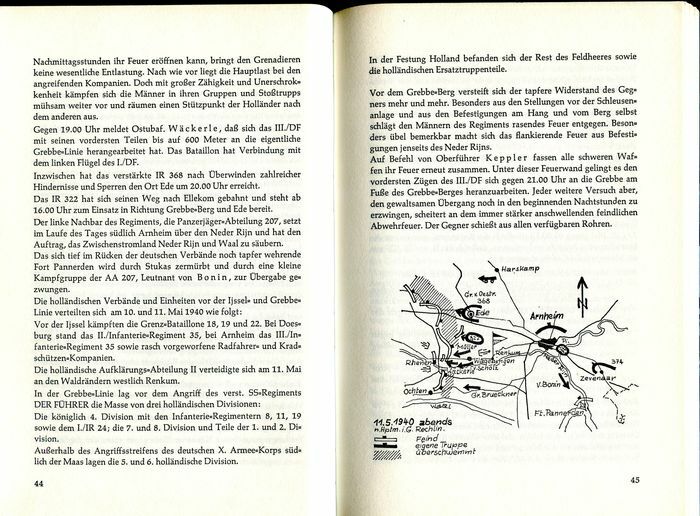 With numerous photos, site plans, indexes and overviews. 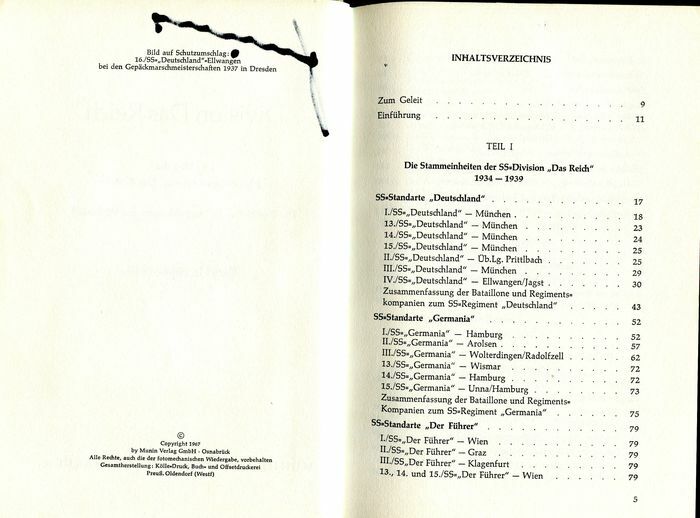 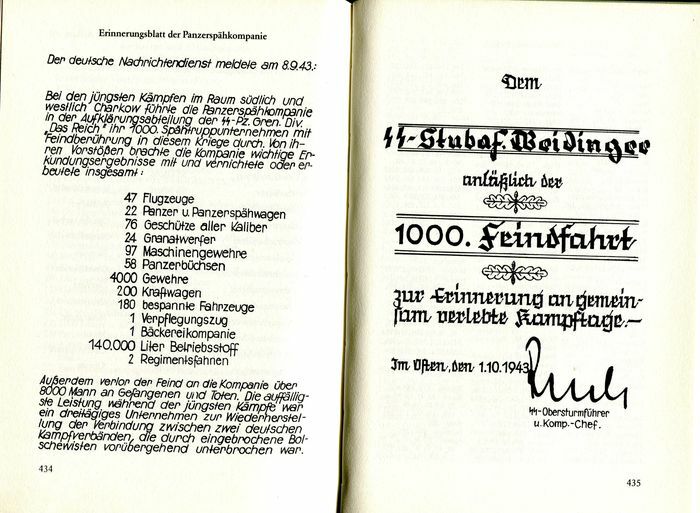 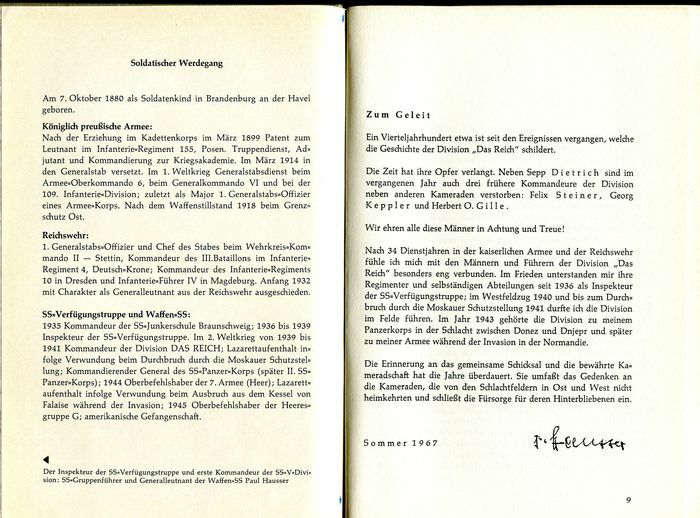 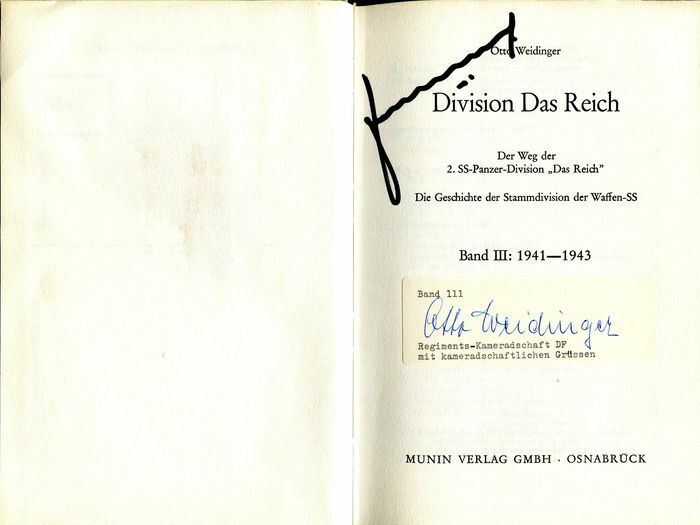 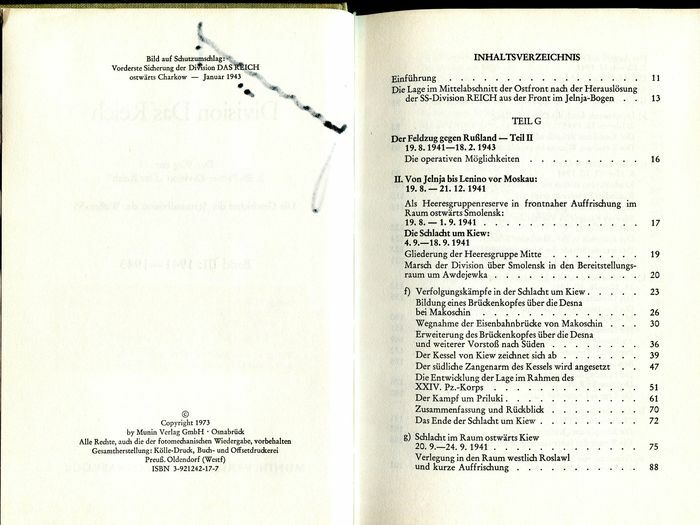 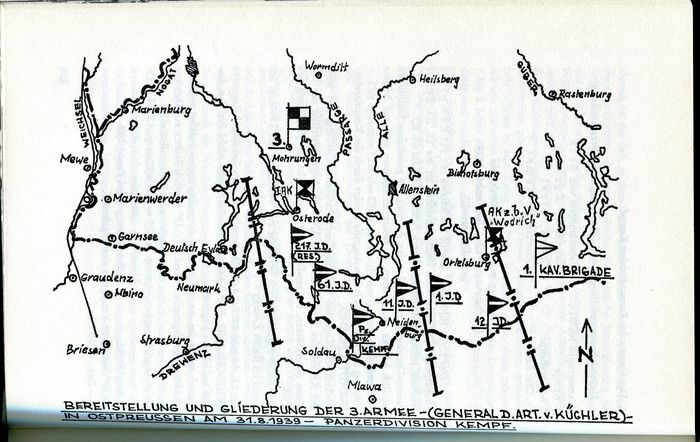 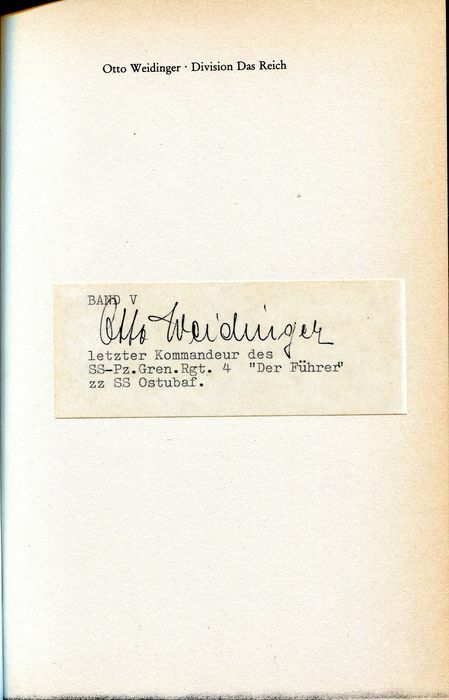 In each volume a sticker with signature from Otto Weidinger, the last commander of the division. 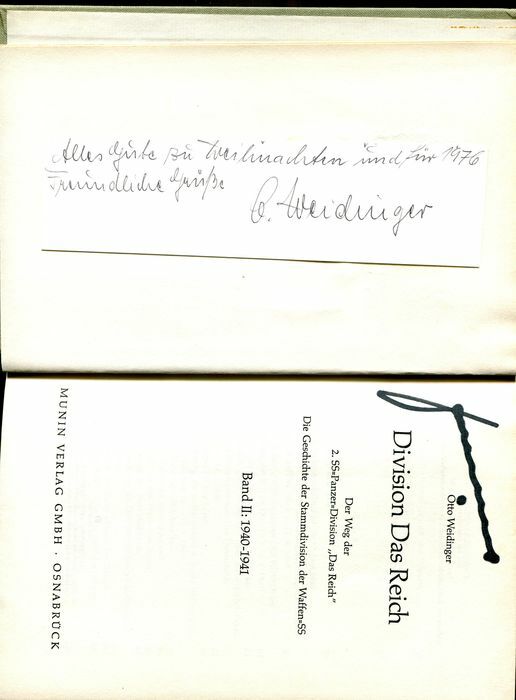 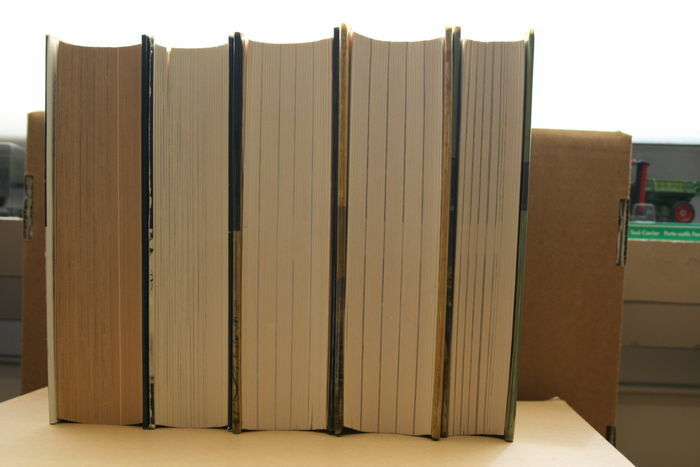 Volumes I-III have a plastic-coated cover and on the title page there's an unclear, waxy signature. 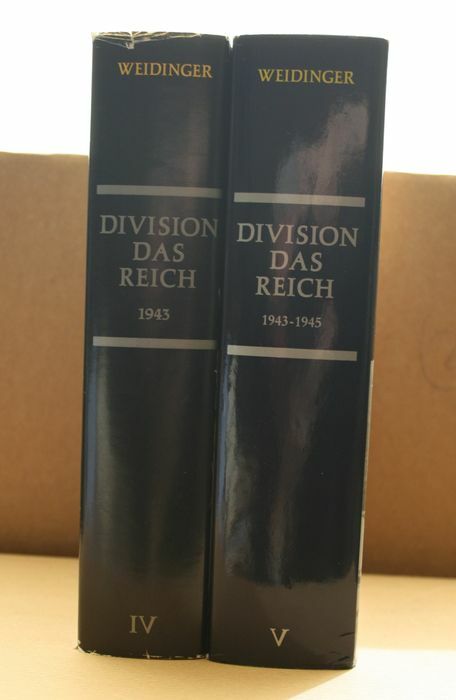 Volume I, 1934-1939, 1967, 352 pp. 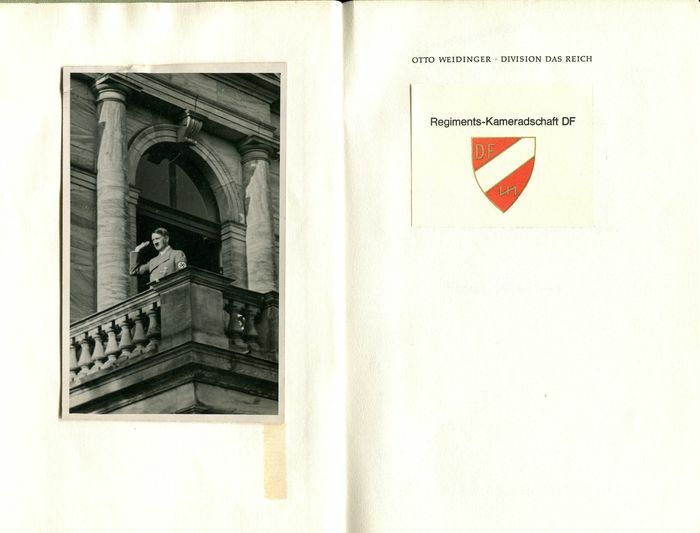 With photo of Hitler on balcony. 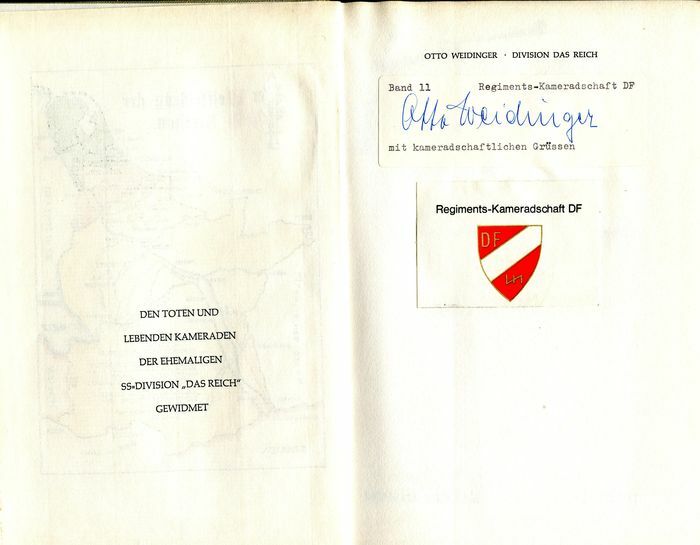 Sticker Regiments-Kameradschaft DF. 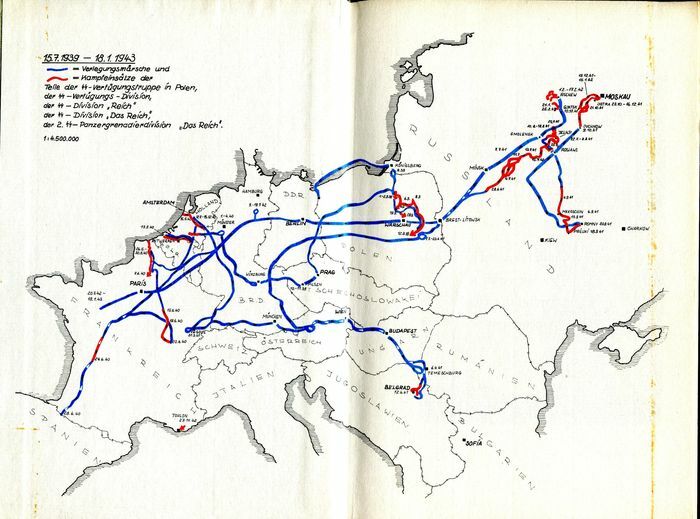 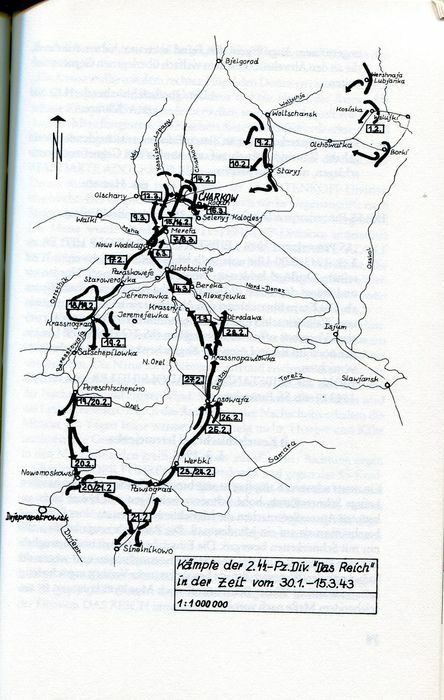 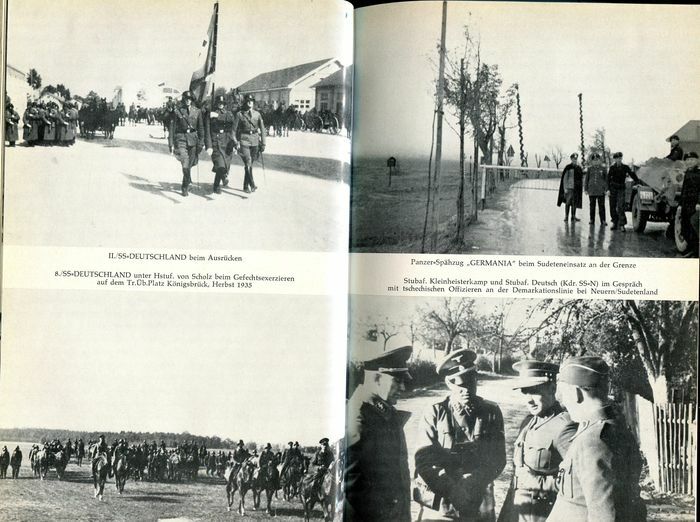 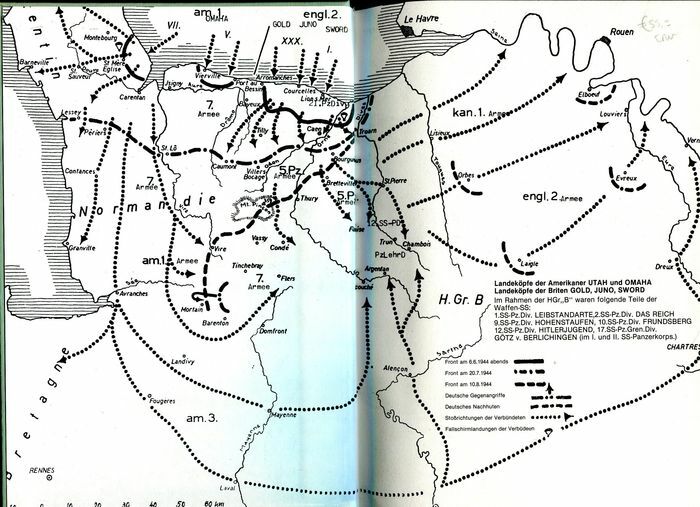 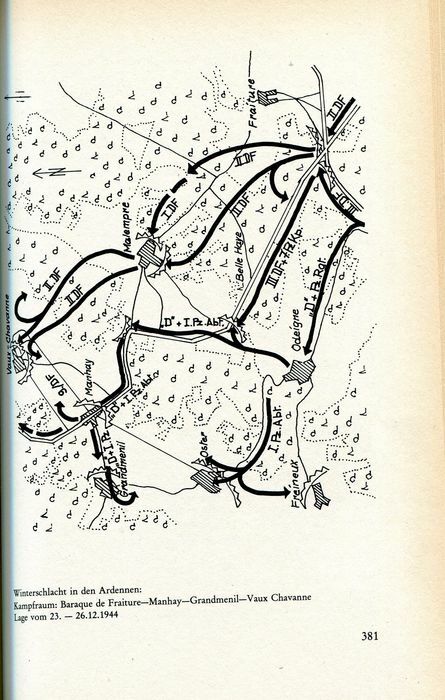 The formation of the division, the mobilization and the campaign to Poland. 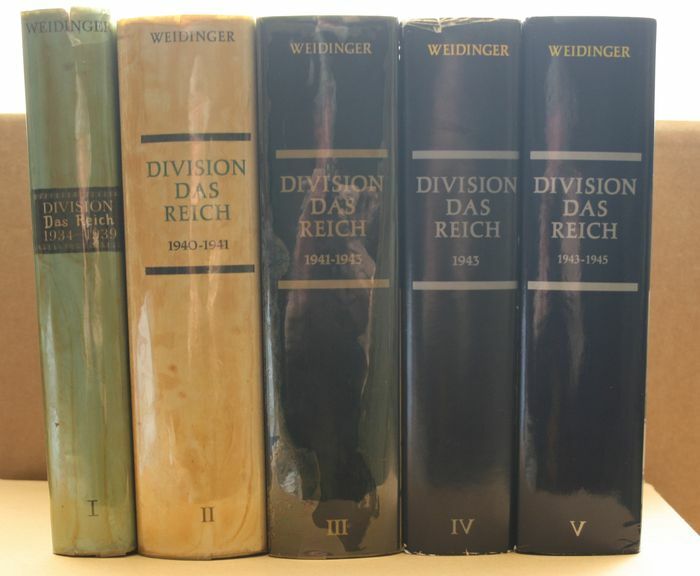 Volume III, 1941-1943, 1973, 532 pp. 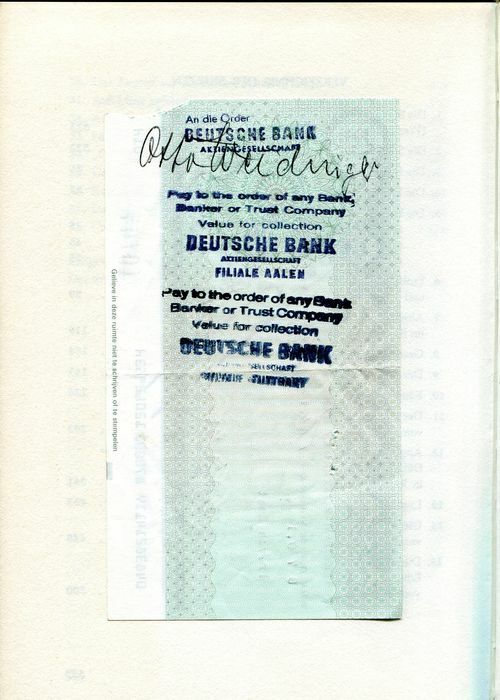 With SS postal card. 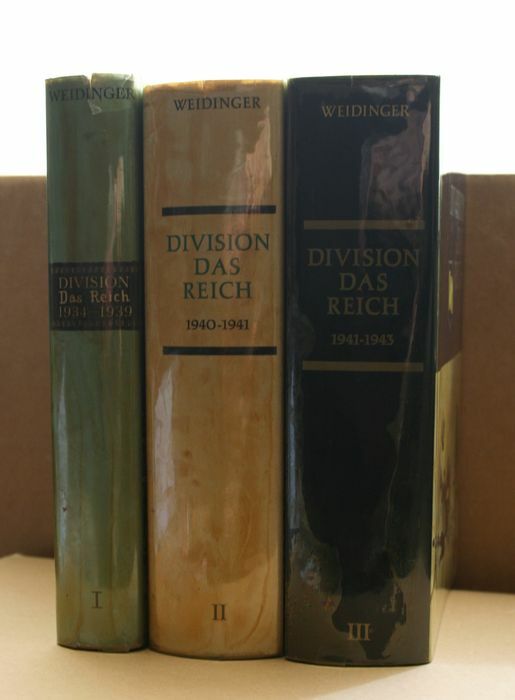 Volume IV, 1943, 1979, 456 pp. 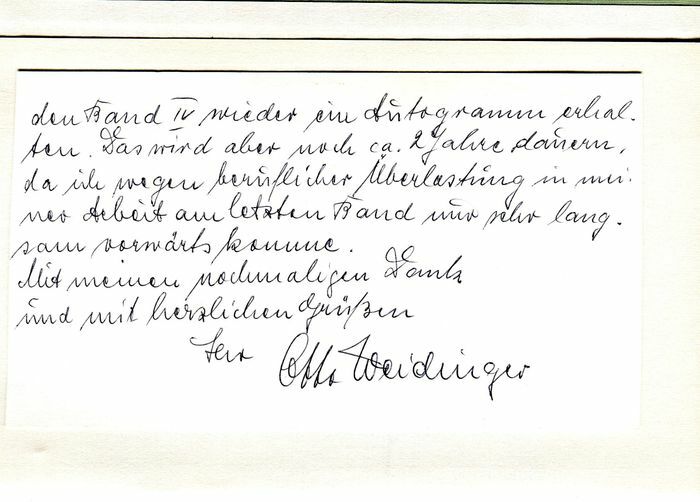 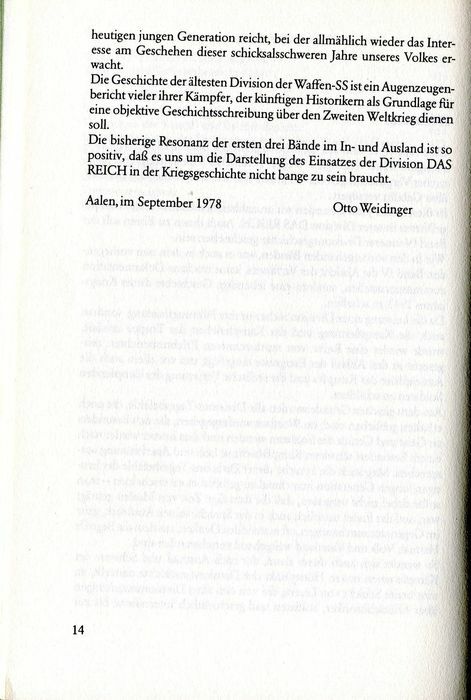 On blanc page there's a handwritten message from Weidinger attached, with his signature. 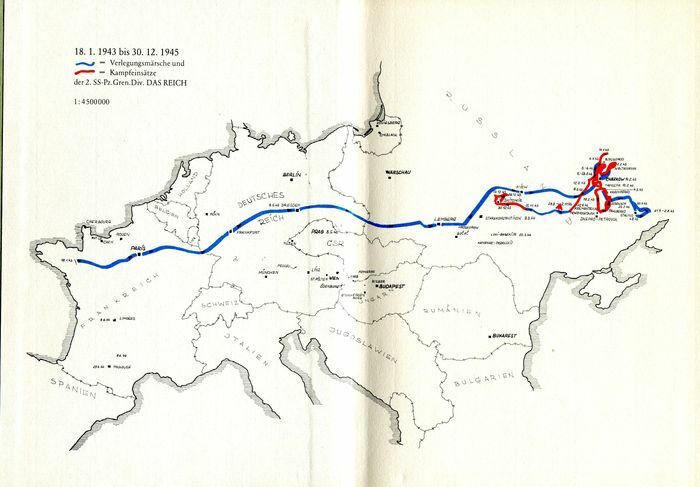 Sequel of campaign to Russia. 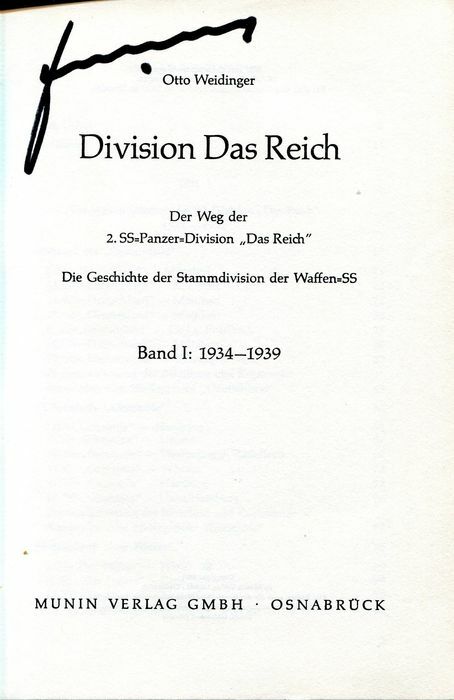 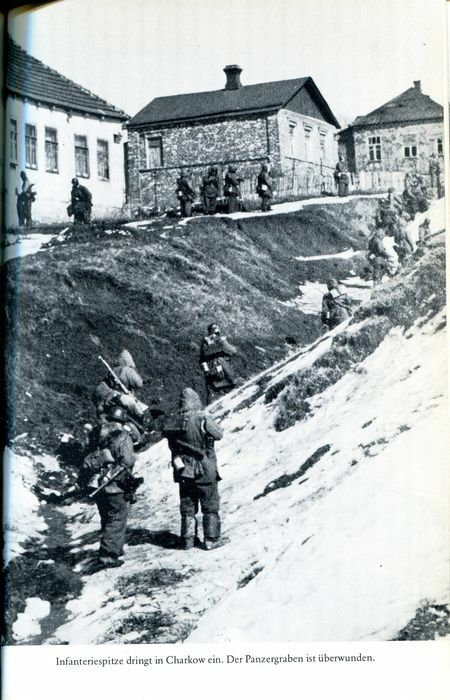 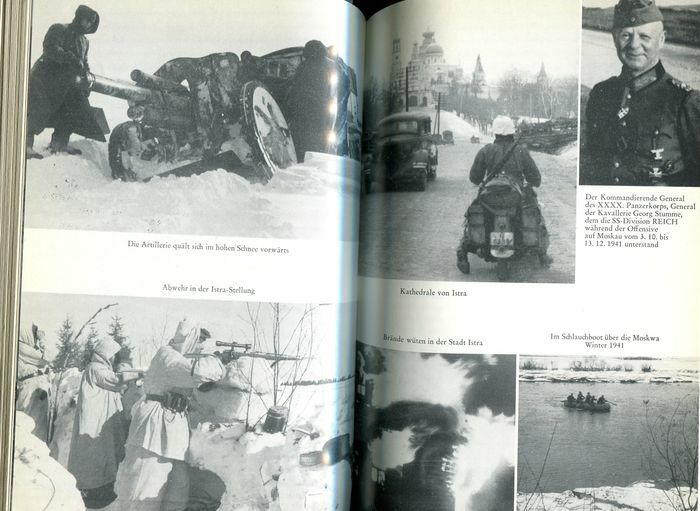 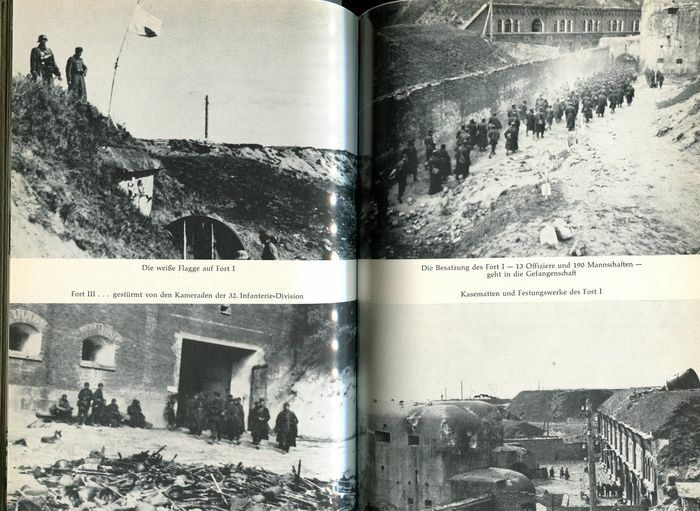 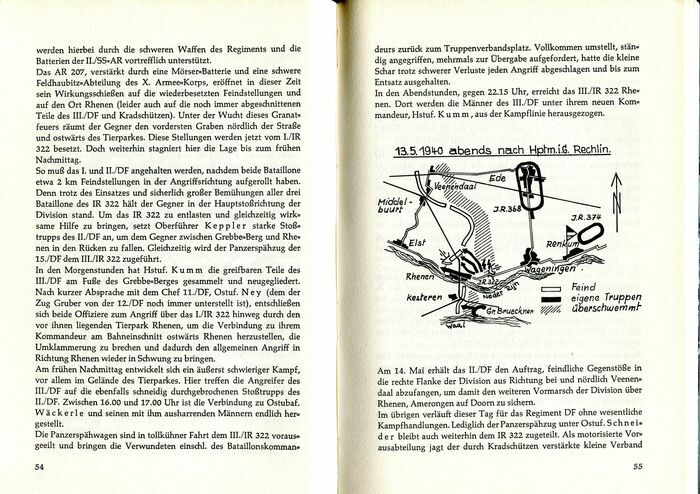 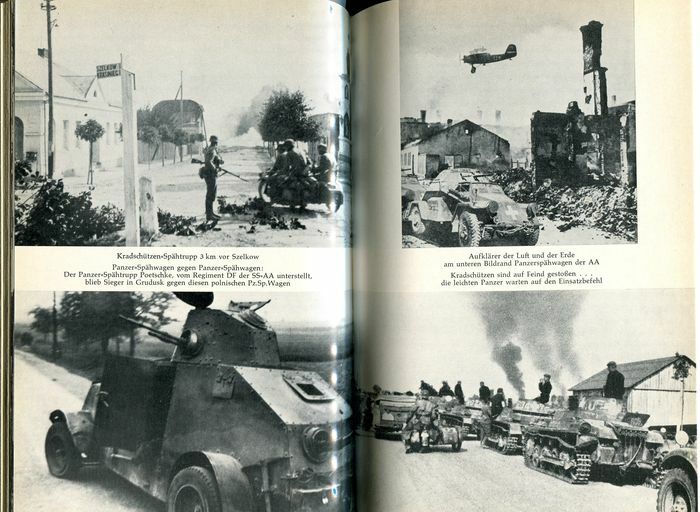 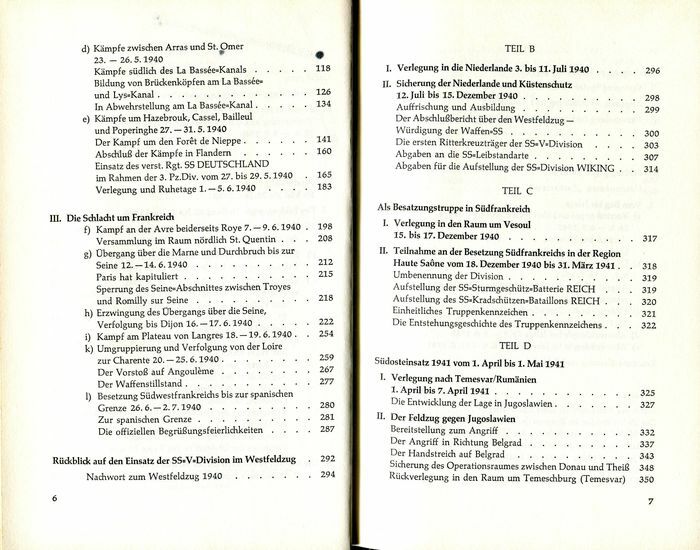 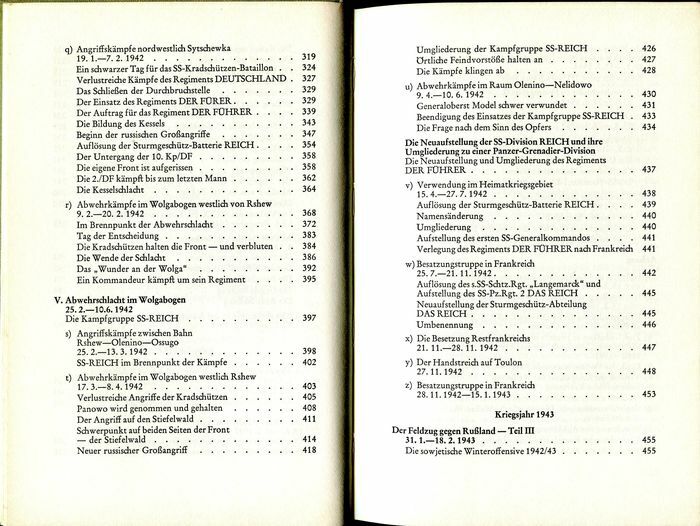 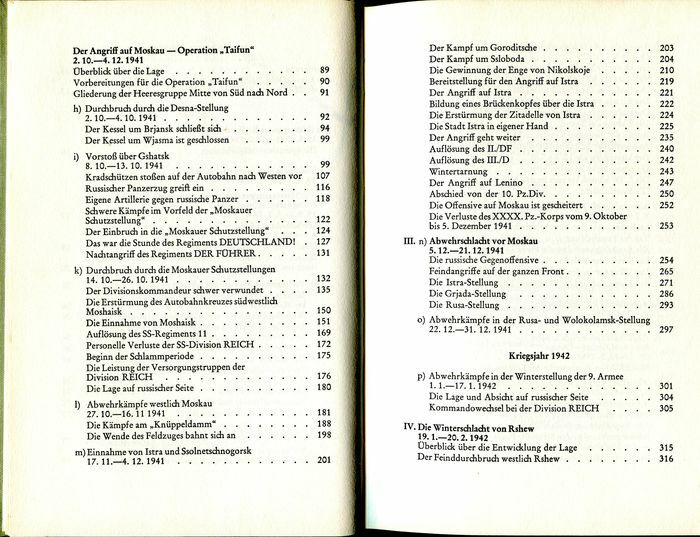 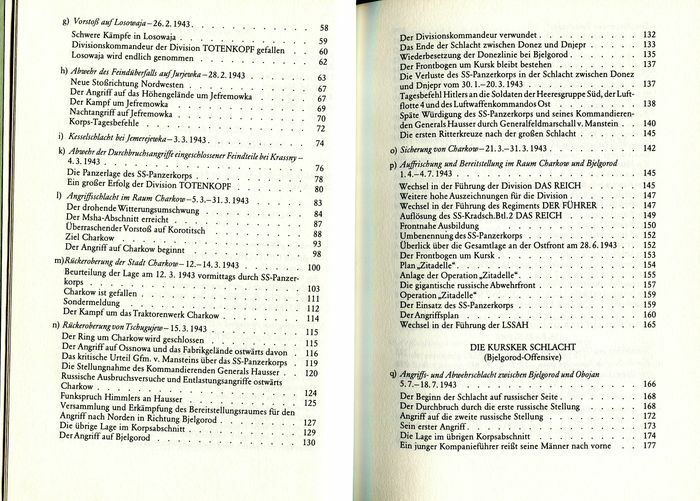 Volume V, 1943-1945, 1982, 621 pp. 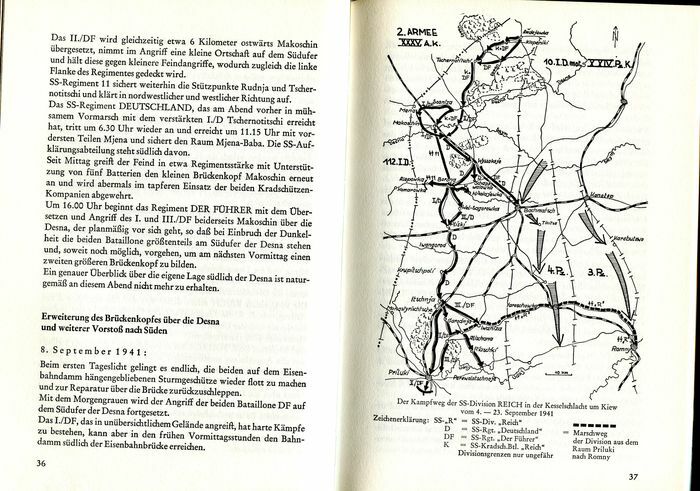 Return l to Rusland, sequel in Normandy, Ardennes to Austria where the division was made prisoner of war by the Americans. 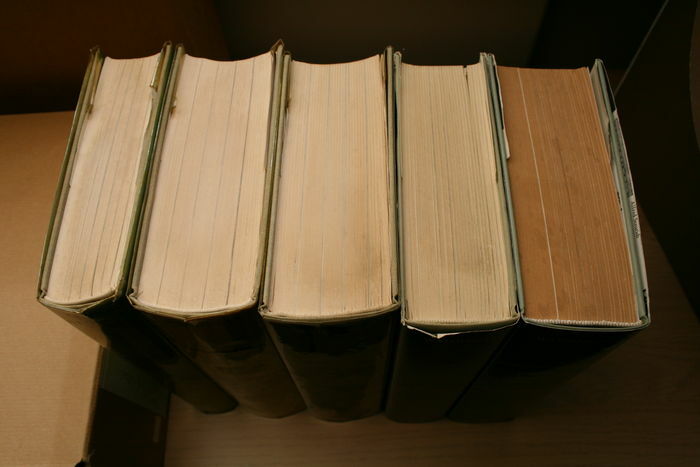 Lots of facts, overviews, summaries and honours. 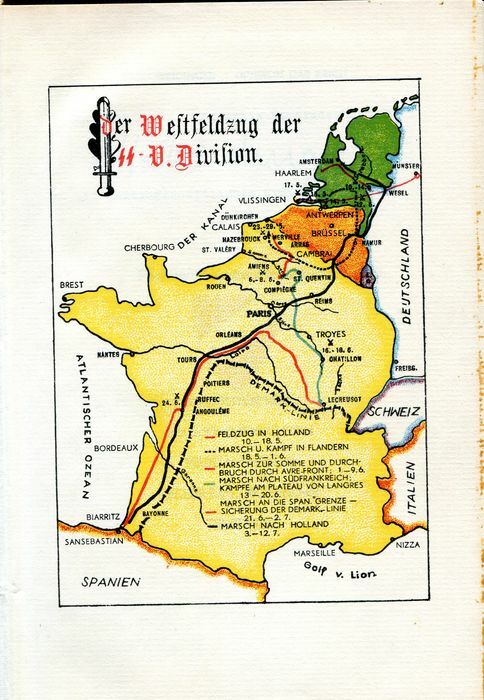 Vous pouvez également retirer ce lot chez le vendeur: Goirle (North Brabant), Pays-Bas.